Want the ultimate diet combination! Combine intermittent fasting and low carb for fantastic results. is a good way to shed those extra pounds quicker and to even speed it up a little more, fasting will give you even quicker results to get those extra pounds off in a hurry. Do you have a special event in the near future that you would like to be slim and trim for? A special dress that you want to wear? Running short of time? Well, shed those pounds quickly with a low carb diet and include intermittent fasting in the mix and you will achieve your goal sooner than you think. When you first start low carb, it is hard to stick with it. But, after a week or so you will feel less bloated and you will not crave all the processed and junk foods that you had been accustomed to eating. Or the sweets! Your clothes will start to fit better, and you will definitely be able to tell it’s working. You will gain the determination and the will to succeed. You will feel much better and have more confidence in yourself. There are many ways to do fasting. Pick which technique will work best for you. Can you fast for 24 hours ? That would be fasting for a complete day and then eating lightly and low carb on the next day. 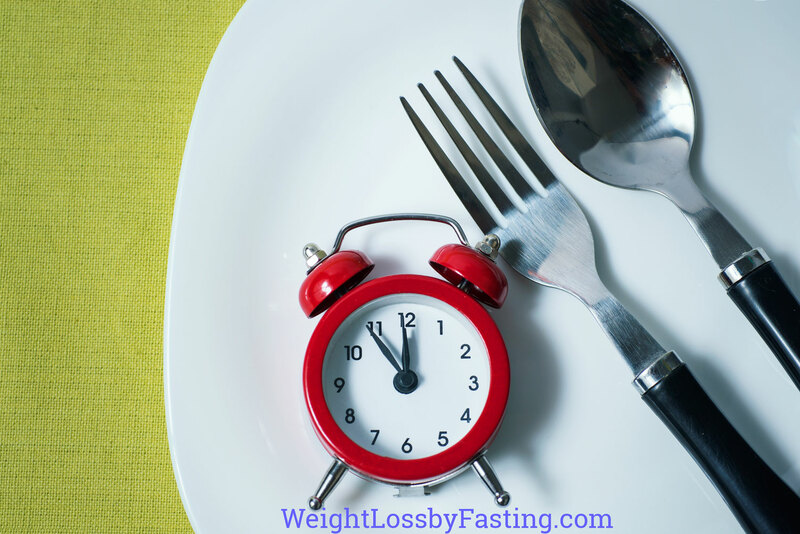 Often called alternate fasting, eating low carb and carefully one day and fasting the next. Doing alternate days of fasting and low carb is a very effective combination. It will take some willpower to get into it, but the results will be fantastic. You can start gradually by doing low carb dieting. As you get acclimated to low carb and it is easier to follow, than add in the fasting. 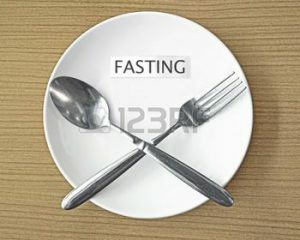 You can do the fasting as a 24 hour fast or a 16 hour fast. I use the 16 hour fast and my results have been great. Eat your evening meal around 6:00 or 7:00 o’clock. Then do not eat anything until at least 12:00 noon the next day. Eat low carb when you do eat. Many health care professionals frown on this type of strict dieting. They still prefer the old pyramid food plan. Well, if it worked so well, why are so many in our country overweight with so many health problems? Intermittent fasting especially when combined with low carb will help the insulin hormone to drop significantly, and fat burning will increase. Definitely an improvement in your diabetes numbers. You will have less hunger pains after a few days and you will be able to fast longer. A short term fast could be 16 hours and a long term fast could be one or two days to a week. Try it and you will be surprised, it’s easier than you think! Eat your evening meal around 6:00 and then don’t eat again until noon the next day. No midnight snacks. And it’s amazing how fantastic you will feel. Let’s face it, we are what we put in our bodies for sure. I am not a Dr. or health care professional, but I have studied nutrition and I think you are better off getting rid of that excess weight by whatever method works for you. There are certainly many health issues related to being overweight or obese. Click here. But you should check with your health care provider, in case there is an underlying condition. There is something to be said about seeing quicker results, with quicker results you feel like this is working and you get more determines to stay the course. So, you will get slimmer and healthier and that is the goal, is it not? I don’t agree with the government pyramid eating plan. There is way too much emphasis on food and less on eating less. Many fasting experts feel that the body should fast frequently to rid the body of toxins and give the digestive tract a well deserved rest. So, lets get started and see if you can accomplish your goal and get in the best shape of your life. Click here.